The best thing about living in Costa Rica is its low cost of living. Many things are cheap and you’re free to spend as much or little as you like. 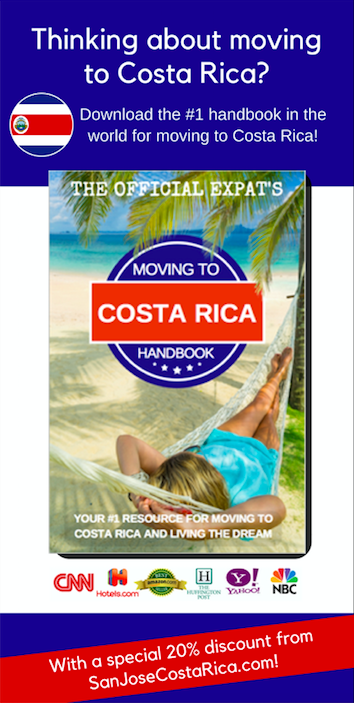 Compared to the equivalent lifestyle in Canada, Europe, or United States (U.S.), Costa Rica is much more affordable. However, there is a big variance between living like a local, and living like you used to in the USA. While the basic stuff may be much cheaper, you’ll find luxury items being almost double what you would pay in the USA. Here’s an idea of how much daily necessities cost in Costa Rica. What is the Cost of Living in Costa Rica Like? Rents for a well-furnished home or apartment in rural and selected urban areas range from $300 to $600. At this price range, you can expect generous amenities, including electric shower heads in the bathroom and line-drying laundry. A luxurious 3-bedroom house near San Jose can start at around $1,500 per month. This includes granite countertops, hot water heater, and a Jacuzzi. Warning: If you are looking to live where many Expats live (Escazu, Santa Ana, Heredia) – you can expect to pay much more. The cost of food may vary depending on your personal choice. The price of the main course, salad, and glass of wine is around $15 to $20 per individual at an average-priced restaurant. A full meal plus a natural fruit drink costs $2 to $4 at sodas, the Costa Rican version of small stores. The cost of groceries in Costa Rica may vary depending mainly on your consumption of local or imported products. Basically, imported goods are more expensive than local products. Much more expensive, I may add. For example, if you buy imported wines, expensive meats, and other premium products in high-end grocery stores, like Auto Mercado, you can spend more than $200 every week. If you shop in the local farmers’ market, you only need to spend $20 to $40 to buy your small family vegetables, meats, fish, and fish for a week’s worth of menu. Actually, services and labor are affordable in Costa Rica. However, many goods are more pricey than the U.S. For example, a new car can cost twice as much as in the U.S. but the cost of a housekeeper is only $2 per hour. Gas and diesel are also more expensive than the U.S., generally costing around $1 to $2 more per gallon. Warning: Expect to pay a substantial amount more than you expect for a vehicle, especially if it’s foreign. There aren’t many cheap vehicle options in Costa Rica and taxation is very real. If you are looking for a deal, try Mitsubishi brands. They typically are very common, abundant, and cheap to repair. You can easily get back the extra money you spend on transportation in entertainment costs. A trip to to the museum, street fair, and outdoor concert usually cost not more than $5 per individual. The cost of most concerts and traveling shows are similar in other nations. If you love nature, you’ll surely love the large-scale park system, gardens, and wildlife adventures in Costa Rica. Keep in mind though that tourists may pay a higher entrance fee, which usually runs from $10 to $20, to aid the nation’s private reserves and national parks of Costa Rica. Warning: If you are a male expatriate, don’t get caught up with the entertainers. This can drain your bank account RAPIDO! Costa Rica’s medical care is generally high quality but expensive. At present, the locals have three options: private insurance, Costa Rican Social Security (CCSS) subscription, or both. The price of private medical insurance from the National Insurance Institute (INS) is around $60 to $130 every month per individual. For a family of two adults and dependents of below 18 years old, the insurance cost is around $30 to $50 per month through the Caja’s public service. 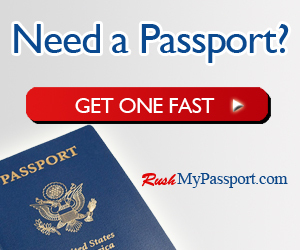 If you’re a legal resident of the country, you’re required to pay the Caja membership. For residents below 55 years old, the Caja payments include a pension payment which will be reimbursed once you hit 65 years old. So, How Much Should Your Monthly Budget Be? If you like to live a simple life, budget your monthly expenses to $1500 or less. In general, this monthly budget includes your bus transportation, occasional taxi, large trips to the farmers’ market and a few meals in the restaurant. But if you want a luxury life with housekeepers, own car, luxurious home, and imported products allocate a monthly budget of at least $3,000. Warning: I’ll guide that this $3,000 could be double that if you choose to live in Escazu or another high society type area. Cost of Living: Costa Rica Vs U.S.
Generally, the cost of basic commodities in Costa Rica is more affordable than in the U.S., except for gasoline, cars, and electricity. The price of gasoline per gallon is around $3 in the U.S. and $5 in Costa Rica. A 2011 Toyota RAV4 costs $22, 475 in the U.S. and $36,000 in Costa Rica. The cost of electricity per kWh in Costa Rica is slightly higher by $0.0037 than in the U.S. The price of Costa Rica’s housing, telephone service, private healthcare, movie ticket, housekeeper’s hourly rate, and haircut are way lower than in the U.S. The costs of internet, cell phone, cable TV, and water are almost the same but they are slightly less expensive in Costa Rica than in the U.S.
As you can see, the costs of basic necessities in Costa Rica are less expensive than in the U.S. but so as their average gross national income. While the average gross national income per capita of the U.S. is $47,390, Costa Rica is $6,810. Of course, your mileage will vary by your lifestyle. You could eat gallo pinto daily and or olla de carne and live on a very low budget, or you could dine at the fine dining establishments like the wealthy Tico’s and expats and spend money like you would in a major U.S. City.